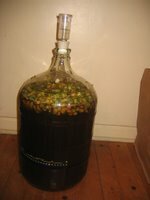 The Brew Lounge: Brewing Beer: How do you separate the hop cones from the beer? 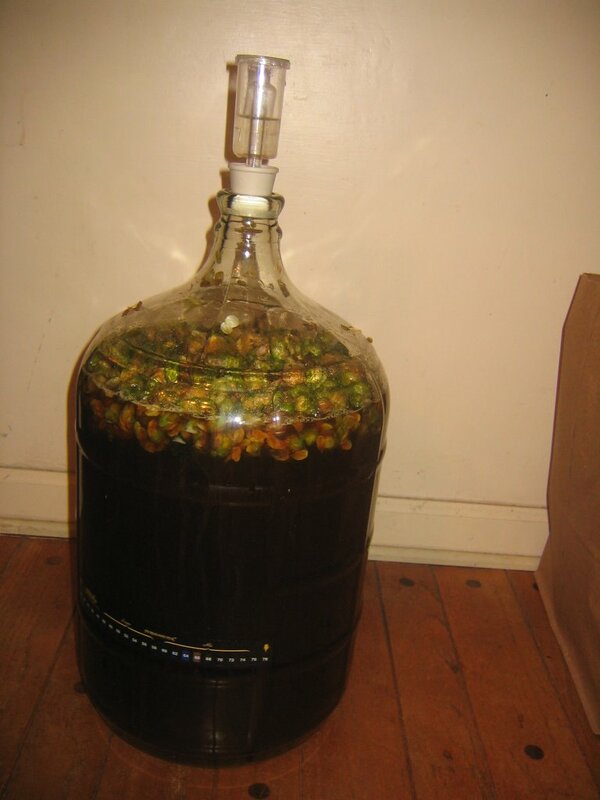 Brewing Beer: How do you separate the hop cones from the beer? Getting the beer out of there is a lot easier than getting the hop cones out, so siphoning into the keg is the way to go IMO. How long have the fresh hops been in the fermenter? Thanks grove. I was afraid of that. Have you dry hopped before? I noticed you have a pretty well written beer log (b + log :-). Regarding the hops. Its been in there About 7 weeks. Not sure if that's too long. Some have reported a grassy taste when leaving the cones in for extended periods of time. I'd say the best thing to do would be to send me a bottle or two once its done. That sort of karmic beerination will practically guarantee it works out for the best. I've dry hopped a pale ale and an india pale ale with 1 ounce of cascade hops for about two weeks. I found the result a bit too vegetal for my taste. Next time I'll try two ounces for 5 days. Thanks for sharing that. Sheesh...I better get on the stick here. I did taste it a few weeks back and it tasted great. I will definately let you know how it goes.